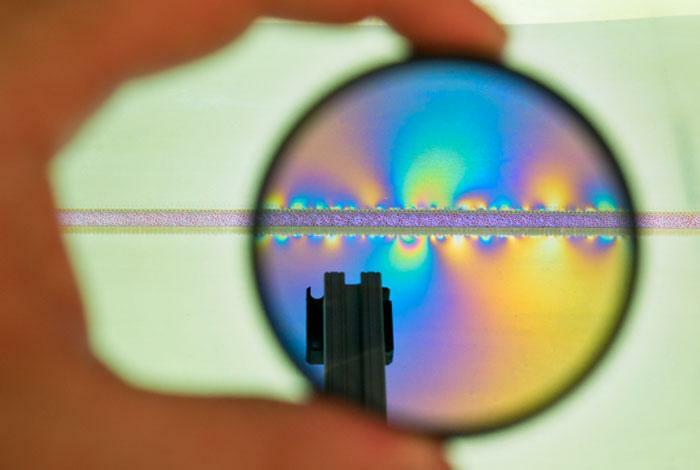 By listening to the acoustic signal emitted by a laboratory-created earthquake, a computer science approach using machine learning can predict the time remaining before the fault fails. "At any given instant, the noise coming from the lab fault zone provides quantitative information on when the fault will slip," said Paul Johnson, a Los Alamos National Laboratory fellow and lead investigator on the research, which was published today in Geophysical Research Letters. "The novelty of our work is the use of machine learning to discover and understand new physics of failure, through examination of the recorded auditory signal from the experimental setup. I think the future of earthquake physics will rely heavily on machine learning to process massive amounts of raw seismic data. Our work represents an important step in this direction," he said. The machine learning technique used in this project also identifies new signals, previously thought to be low-amplitude noise, that provide forecasting information throughout the earthquake cycle. "These signals resemble Earth tremor that occurs in association with slow earthquakes on tectonic faults in the lower crust," Johnson said. "There is reason to expect such signals from Earth faults in the seismogenic zone for slowly slipping faults." Following a frictional failure in the labquake, the shearing block moves or displaces, while the gouge material simultaneously dilates and strengthens, as shown by measurably increasing shear stress and friction. "As the material approaches failure, it begins to show the characteristics of a critical stress regime, including many small shear failures that emit impulsive acoustic emissions," Johnson described. "This unstable state concludes with an actual labquake, in which the shearing block rapidly displaces, the friction and shear stress decrease precipitously, and the gouge layers simultaneously compact," he said. Under a broad range of conditions, the apparatus slide-slips fairly regularly for hundreds of stress cycles during a single experiment. And importantly, the signal (due to the gouge grinding and creaking that ultimately leads to the impulsive precursors) allows prediction in the laboratory, and we hope will lead to advances in prediction in Earth, Johnson said.